I had been eyeing the single long row of leeks that over-wintered in our lower field for a couple of weeks. Standing amongst the spring growth of the winter rye and peas planted last fall, they looked rather lonely and seemed to be calling out to be dug up after months spent in the cold snow-covered ground. Finding the time to dig them out of the earth wasn’t so much the issue at hand, but rather, what to do with those 100+ leeks presented a minor challenge. Afterall, we can eat only so many before the taste for them goes sideways. Giving them to friends was a good option, but most people I know grow their own and are faced with a similar dilemma at this time of year. While I imagined them sitting in the fridge for weeks and eventually turning to mush, I decided to do what gets done to them when I prepare a hearty batch of leek and potato soup…and to take it a step further. 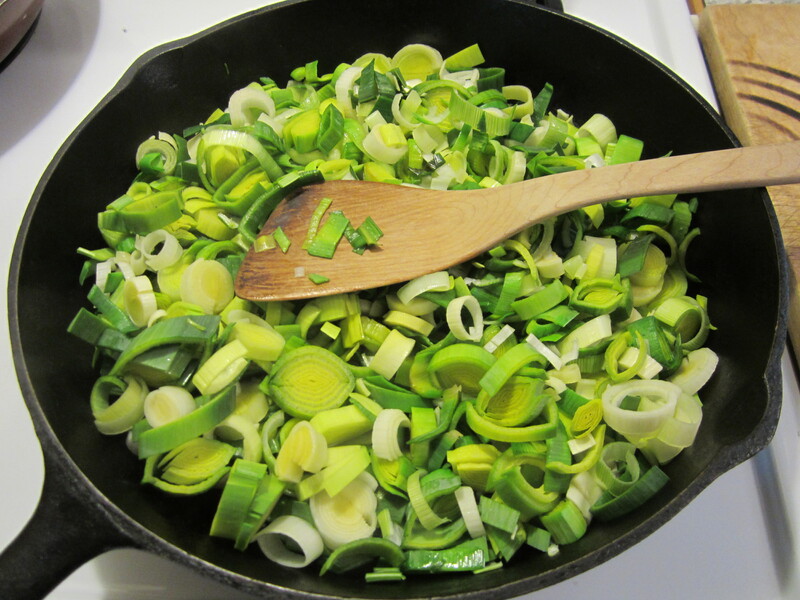 A couple of hours after the idea of sautéing them came to me, the leeks were out of the ground, washed, sliced and diced and yes, sautéed to perfection, and, put into freezer bags. I have no idea what the flavour of frozen sautéed leeks will be like, but I think once combined with last year’s potatoes and carrots, the broth from one of our chickens, a few sprigs of fresh thyme from the greenhouse, and a dash of salt and pepper, it will be quite delicious. 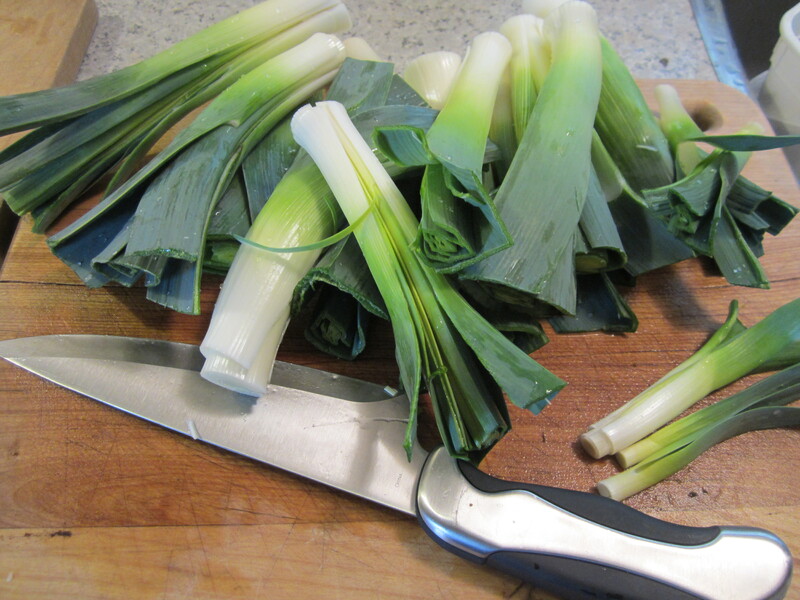 As I prepared this hearty veg for the freezer, I found myself thinking about the full circle that leeks create in a 12 month period – just as I was seeding a new bunch, I was harvesting the old bunch. I like that. And now, I have at least 12 ziplocs filled with this ready-to-go soup ingredient – certainly enough to bring us close to the time when we can pick them fresh in the fall, and before winter lays down her blanket of snow again.